Health experts agree: not all fat is bad for you. Omega-3 fatty acids are considered one of the "good" fats important for cellular, heart and metabolic health. Getting an adequate amount of fatty acids to promote heart health is not easy. 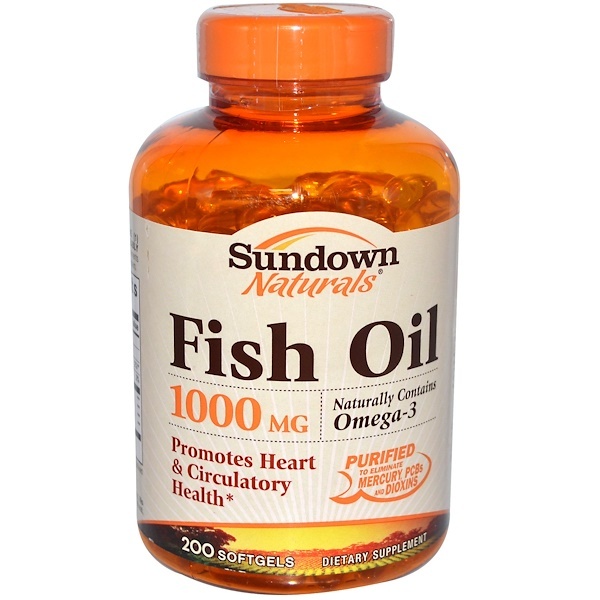 Sundown Natural's Fish Oil contains eicosapentaenoic acid (EPA) and docosahexaenoic acid (DHA), two fatty acids that help support and maintain the health of your cardiovascular system. Sundown Naturals' Fish Oil is purified to eliminate heavy metal contaminants such as mercury, PCBs and dioxins. 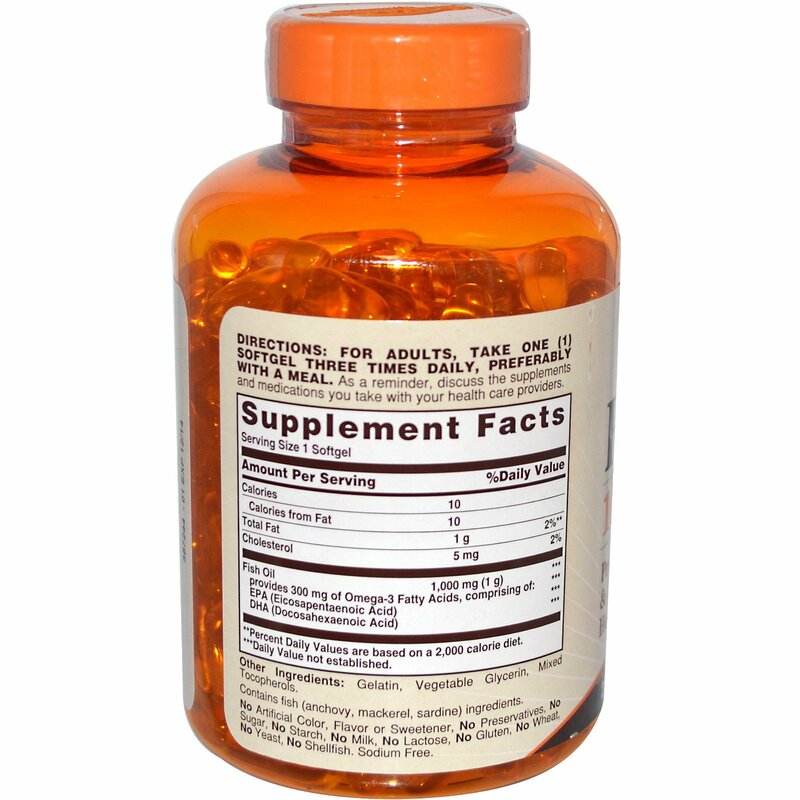 For adults, take one (1) softgels three times daily, preferably with a meal. As a reminder, discuss the supplements and medications you take with your health care providers.